This week’s Carnival of Space is hosted by Pamela Hoffman of Everyday Spacer. 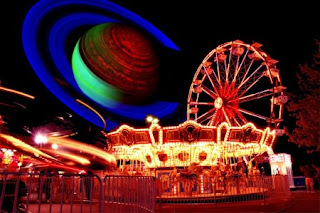 The carnival of space is a weekly phenomenon, passing on to a new blog each week. The sacred duty of finding and collecting the best news on astronomy and space science from around the Internet is entrusted to each new blogger, to ensure that the reader will always have the news that matters. This week’s Carnival has some good stuff: We learn about using interstellar X-rays to find hidden exoplanets, and how meteorite impacts melt the surface of the Moon. We see gigantic inflatable telescopes floating in the upper atmosphere while cosmic rays reveal the secrets of asteroid interiors. 3D printers become critical to martian explorers and outlandish pulsed-fission rockets get mooted as possible interstellar spacecraft engines. There’s even a little light stargazing, and a new alliance to promote space travel! Go on, click here. See what we’re talking about!